Associations and magazines are almost inseparable. The vast majority of membership organizations produce and distribute monthly, quarterly or bi-annual publications with articles, updates, editorials, profiles and other content in order to educate and engage their audience. The history of many magazines stretch back decades and, in some cases, more than a century. However, the humble, but powerful trade magazine has encountered a huge identity crisis over the last two decades as digital age has evolved. Google, social media and free information has led to less interest and less value in trade magazines, meaning fewer ad sales and messy bottom lines for some organizations. This is isn’t a eulogy to association magazines, but rather a call to adapt. By harnessing the power of digital instead of fighting against it, these publications can once again stand tall in the eyes of members. Here are four ways associations can promote their magazines on social media to increase reach and viewership in order to prove to advertisers and board members that publications are a valuable tool for success. An article in your association’s magazine doesn’t need to be the end of the road for that topic. After all, most articles are limited by space and have the views of usually only a handful (or less) of people. Don’t get us wrong, the magazine’s articles are no doubt comprehensive, engaging and well-written, but often times people have questions or there are other views or details that can be added to the issue addressed in the publication. This is when videos come in very handy. After the magazine has been released, pick one to three articles and do a follow up video as a companion piece to the original article. Do an interview with the author or subject of the article or bring together an expert panel to talk about an issue addressed by the original article and film the discussion. If the article is a profile of a member or a company, visit them and do a day-in-the-life video. Put the videos on YouTube, Twitter, Facebook and any other platform your association uses along with links to the article, information about the magazine and a prompt to contribute to the discussion in order to drive traffic and increase the exposure of the magazine. Let’s be honest, when your members are browsing the paper or online version of your magazine, they often look at the headlines and maybe the first couple sentences before deciding if it’s worth a read or not. Most of the time, it’s not worth the read and the reader keeps flipping through the publication, missing engaging content and dealing damage to key performance metrics that advertisers pay attention to. Twitter is a great way to give your association’s readers a second chance to discover the quality content lurking inside its magazine. The platform is a key way to improve on that misleading and unimpressive first impression your members may have of articles. For example, post a poll on Twitter related to one of the articles in the magazine, along with a link to that article. A poll will generate interest and discussion while giving a brief and interesting synopsis of the article, which increases interest and readership. Another tactic is to post an interesting quote or snippet from the article as a tweet along with a link to the article. Readers may have missed the intriguing bit of the article and be convinced to give it another chance. Many recipients of association magazines open up their publications to see waves and waves of text starring back at them. Although those words are of high quality and often accompanied by pictures, they usually don’t jump off the page and grab the reader and can often overwhelm people. When they become overwhelmed, readers often shut down and give up on an article and the whole magazine. This is why emphasizing the publication’s images on social media can do wonders to readership levels. As the saying goes, pictures can say 1,000 words. They can also convince your members to read 1,000 words or more. 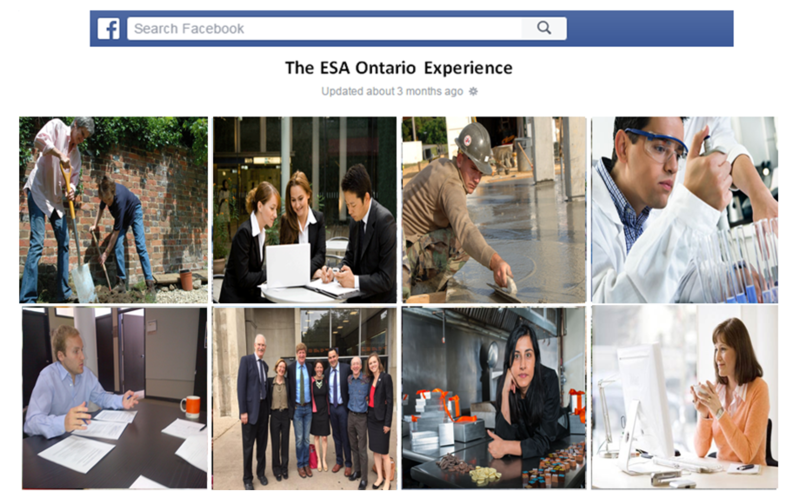 Create a Facebook album on your association’s page for each issue of the magazine that comes out. Represent each article or section of the magazine with a solid, well-planned photo that tells the story in an image. In the description/caption, include a short synopsis, summary, snippet or headline and a link to the article. An image will draw people in and pique their interest much more often then a flashy headline or an insistence to do so. It will also allow readers to browse the contents of the magazine much easier, giving them an incentive to check in and read up. Associations can sometimes go months without releasing another issue of their magazine, which means that they are out of sight and out of mind for members. This results in a rocky relationship with the publication and creates the risk that its relevance will disappear among members. That’s where a good Instagram contest or activity can save the day. For example, you can have a contest for each issue asking members to submit a photo. The best one can grace the cover of the next issue of the magazine and can be entered to win a Best Cover prize at the end of the year, as voted on by members (once again, via Instagram). Another idea is to post an industry-focused problem or a photo on Instagram and ask members to submit an answer to the query or a funny caption for the photo. These submissions can then be put in a special Member Section or Social Media Section in the next issue of the magazine. Not only will members race to see if their submission is put in the magazine, but it will also create a chance for fun content and will keep the magazine top of mind during the interim periods between issues. Forgetfulness is a part of life. Just try to count the number of times you’ve misplaced your cell phone or car keys and you’ll probably immediately think of a dozen or more instances. Links drive traffic, traffic drives engagement, engagement drives participation and participation drives revenue. While it may not be this extremely simple, the basic formula still holds true for many associations, small businesses and other organizations; if you can get people from one piece of good content (your social media post) to another piece of good content (your website), they are more likely to read your blog post, hear your message, browse your products/services and use that online registration/purchase tool. However, many people forget to add a link to the specific content they are referring to on social media. Instead, they will tell their audience that registration is open for the association’s next conference or that there is a deal on the business’s new product, but fail to provide a path for the viewer to explore these offers further in the form of a link. Next time, make it easy for people to invest their time/money/energy in your organization and add a link. Most people like to be told what direction they should be going, which is why a call to action is an important part of any successful social media post, especially for associations and other non-profits. Your audience is undoubtedly smart and capable, but it probably made up of busy individuals with other priorities. Because of this, your audience members often won’t go through the extra step of investigating what to do next if you post about an initiative, event, service or other program your organization is promoting. When you provide a call to action, a specific way for viewers to get involved and participate in your organization’s initiative, through social media, people are much more likely to follow through as their actions are clearly mapped out. Crafting a call to action can be as simple as tweeting about a letter-writing advocacy campaign from your association’s Twitter account and attaching a sample letter as an image. You are asking your members to write a letter (the call) and providing a clear way to achieve this objective (the action). So much content, so little time; it’s a phrase often muttered, in some form or another, by people every day. The social media world is saturated with updates, articles, advice and posts of all kinds. That’s why your organization’s content needs a hook, something that makes clear that your post is uniquely valuable and relevant to the target audience you want to reach. Too many organizations miss this and simply rely on their audience to trust that the content is up to snuff or that it will impact them in one way or another. But this is not enough. Instead, your social media posts should be constructed with a hook in mind. Think about what your target audience values, what they want, what they need and what will propel them forward in life. Use these ideas to appeal to them and compel them to take action. For example, don’t just tell your association’s members in a Facebook post that your conference provides hours of great education; instead, tell them that the education sessions will give them access to over a dozen of the industry’s top professions with a unique chance to pick their brains. This is a reason to attend the conference that many people won’t be able to pass up! Should Your Association Produce A Podcast? If you’re new to the term, podcasts are digital audio shows that are typically focused on a running theme, subject or purpose and can include interviews, storytelling or opinion talks. Podcasts are not new to the online landscape, but they’ve gained widespread notice from recent shows that have been wildly popular, such as Serial and This American Life. As podcasts become more common and gain more listeners, it begs the question; should they become part of your association’s communications and marketing plan? Much like video, podcasts are rising in appeal among all demographics, and that includes your members, whoever they may be. Determining whether your association should consider creating a podcast comes down to knowing the resources available to you (time and money) as well as the ultimate format and goals of the podcast. The following are some benefits of podcasting that you may want to take into consideration when deciding if your association should start its own digital show for members. Podcasts are perfect way to share knowledge, which make them a great tool for associations looking to offer professional development, first-class information and even certification. If your association is thinking of creating a podcast with education as the goal, it is opening itself up to a world of options. You can take some issues explored at conferences or in your magazine and delve deeper into their subject matter. Recent events can be examined further in a podcast. Interviews with experts, members and staff are a great way to provide context to issues, make them easy to understand and relate them back to the way members do their job in a meaningful practical way. You can even look at a service that the association provides or part of the organization’s history and educate members in that way, while also promoting your association. Podcasts are one of the most portable, accessible and easy-to-digest forms of content available right now, which makes them ideal for an association looking to separate itself from the crowd and get an edge on the competition. Once downloaded, podcasts can be listened to just about anywhere; work, home, in the car, on the subway and just about everywhere else you can think of. It can be listened to on just about any device as well, which makes it easy for your members to access on their computer, tablet or phone, no matter their style of technology. Print and video can often be a little too consuming or unavailable for people. You can’t access an article when you’re on the subway and you can’t watch a video when you’re working on a spreadsheet at the office. However, you can listen to a podcast that has been downloaded in both scenarios. This can give your association an edge that it won’t regret. Everyone likes a little fun once in a while, especially when it’s relaxing and engaging, which is exactly the combination that podcasts bring to the table. While your members become hooked on an entertaining podcast series, they are more likely to interact with your association and its other content as well. We don’t mean to bash on other forms of online content, but many of them require some work on the part of the member. Reading a blog, combing through tweets and even reading a Facebook post means putting in the time. Podcasts are a great way to unwind and listen to people actively interacting with you about a topic you’re interested in. If your association is keen on creating a podcast, it should keep the topics on something engaging and interesting and even light and fun once in a while. Don’t be overly serious about the subject matter. This way, listening to your podcast will become part of a routine for members who see it as a way to spend their spare time. This will encourage them to engage with other parts of your organization, creating an active and engaged membership. With any association initiative, revenue is front and centre. Podcasts don’t have to be a loss leader for your association. With some persistence and creativity they can even help your organization make a little cash. Podcasts are usually downloaded and listened to on a mobile device. Your association can charge a small fee for each download. Your association can also restrict the fee to non-members, putting the podcast behind a members-only wall. If walls and fees aren’t your thing, try selling advertisements or sponsorship. You can plug paying companies during the podcast and charge for the service. If you can find a company to sponsor the whole shebang, that’s even more of a revenue coup! Remember to always keep track of the number of listeners or downloads so you can make your sales pitch to advertisers and sponsors. Less than two weeks ago, Incline Marketing’s president Marc Cousineau presented at the Canadian Society of Association Executives, Trillium Chapter’s Winter Summit conference. Part of the talk centred around integrating social media into an association’s member recruitment and retention efforts. The basis of the presentation was that there are different segments within the larger member demographic and each segment values something different that your association can provide. Social media is an important tool your organization can use to highlight this value to current and potential members, no matter their type. Although there are dozens of different kinds of members at each association, the discussion at the Winter Summit focused on five key member demographics; the loyal member, the lapsed member, the never-been-a-member member, the new-to-the-industry member and the service provider member. The talk went through each member group and illustrated the ways in which social media can unmask the value an association can deliver to each group, thereby boosting the recruitment/retention efforts. The following are examples of social media content that can be used by association to attract each of the aforementioned membership groups based on what they value most. The Loyal Member is the kind of individual who renews their membership year in and year out, participates in association activities and is a champion for your organization. They are most likely a veteran of the industry their in and have moved up the career ladder. The value they see in your association probably firmly rests in the relationships they have built as a member and attaining high-level education that matches their lofty career status. 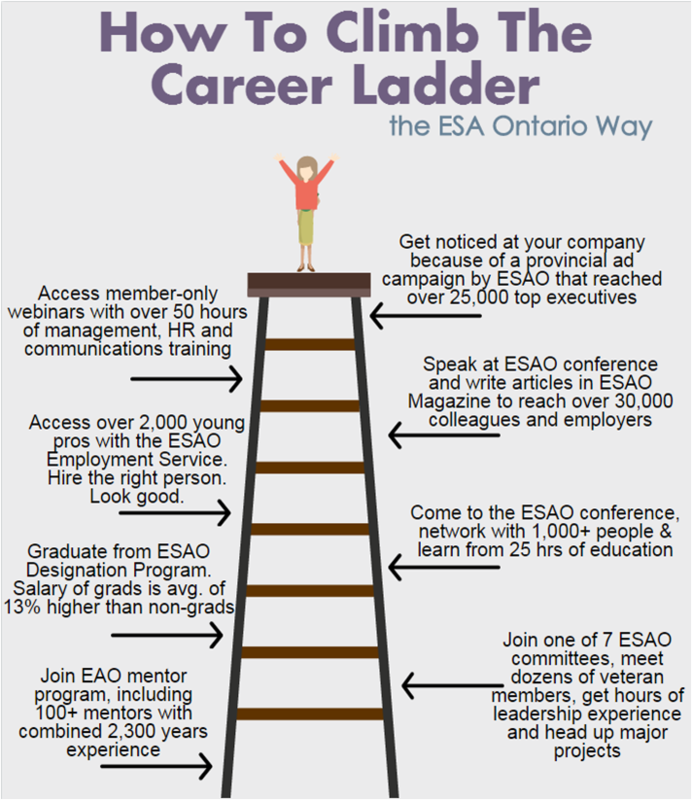 Above is an example of how your association can use a regular blog post to address the Loyal Member’s desire to receive education and information that helps them in their high-level career role. 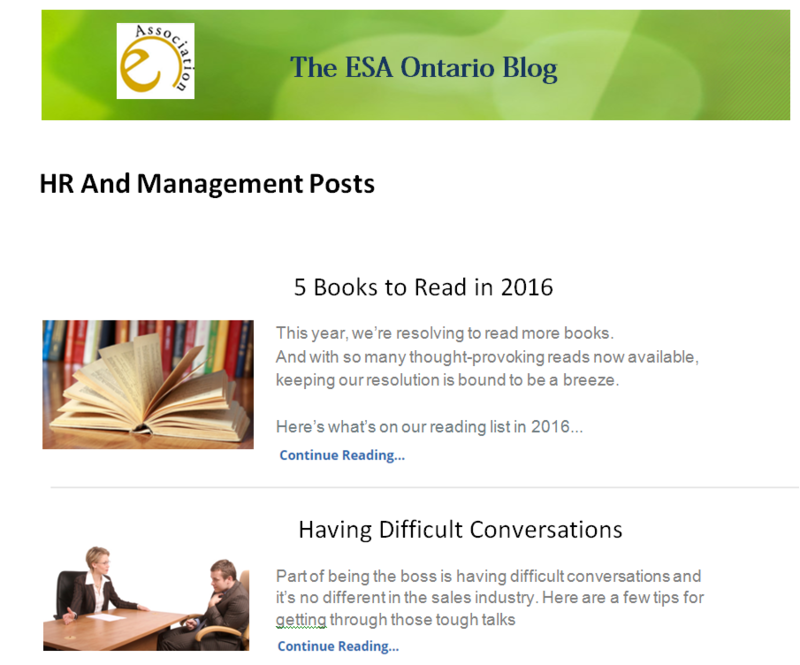 A blog allows your association to pinpoint issues that matter most to different members and create useful content around these issues. There is also an accompanying tweet that highlights the work of the association, broadens the reach of your blog and drives traffic to your website. There are a variety of reasons that someone may become a Lapsed Member; a reduced budget with no room for dues, a bad customer service experience or the big one, a perceived lack of value from joining the association. Sometimes members believe that the investment was not worth the outcome and therefore choose not to renew. Social media can help them rethink this stance. The video and accompanying tweet are all about showing members how to maximize value. Using the example of a conference, the short video is a piece of content your association can create to explain how attendees/members can achieve the greatest return on their investment while highlighting some aspects of the event people may not know about. Creating various types of content like this one across multiple platforms makes it possible for a greater number of members to experience all the value they can get from your association and making it more likely they realize a return that they believe is worth renewing their dues for. These individuals are very similar to the lapsed member, save for one difference; they never even gave your association a chance. These are the people who have never been members for as long as they’ve been in the industry. This can be for a variety of reasons, such as letting negative reviews from others influence their dismissal of the association, but the most common being once again that they perceive a lack of value from joining. Social media can come to the rescue in this situation. If you are familiar with the Humans of New York Facebook page, you will recognize this strategy and how it can be used by associations (if you’re not familiar with HONY, definitely check it out!). The Facebook album with small profiles of members talking about the value they have received from being an association member can be helpful in several ways. The most important is that it communicates to non-members the pay-offs of being a member from a perspective they can trust and relate to. It places the audience in a setting they are familiar with and used images and quotes to directly address issues they find important, placing your association as a solution to the challenges or problems of their career. These individuals are most likely young professionals, fresh-faced and just out of school, or those who have made a career change. They are trying to decide whether to join your association or not and the choice they make now will likely set them on a path for the rest of their careers. That is why it is important to use your association’s resources, of which social media is an important part, to show them the value of membership and build a lasting relationship. The infographic above is the kind of visual content that can be posted to multiple platforms, like Twitter, Facebook, Pinterest, Instagram and a blog, making it the perfect type to reach the most people. It illustrates the ways in which your association can help those new to the industry develop their career and get ahead. It uses data and numbers in a visual way to show them step by step what your association offers that other paths do not. It gets specific and helps the potential member view the association in a way that allows them to maximize its value and get the most return for their investment. This type of member are those who offer services or products to your other member groups, such as exhibitors, vendors, large companies, small businesses and the like. It’s all about dollars and cents for these members. Yes, they do appreciate the ability to keep on top of industry trends that membership affords them, but being a member of an association is all about the exposure, networking and business opportunities it presents them. Social media can show these individuals that they are better off staying or becoming a member than going out on their own to achieve the same goal. 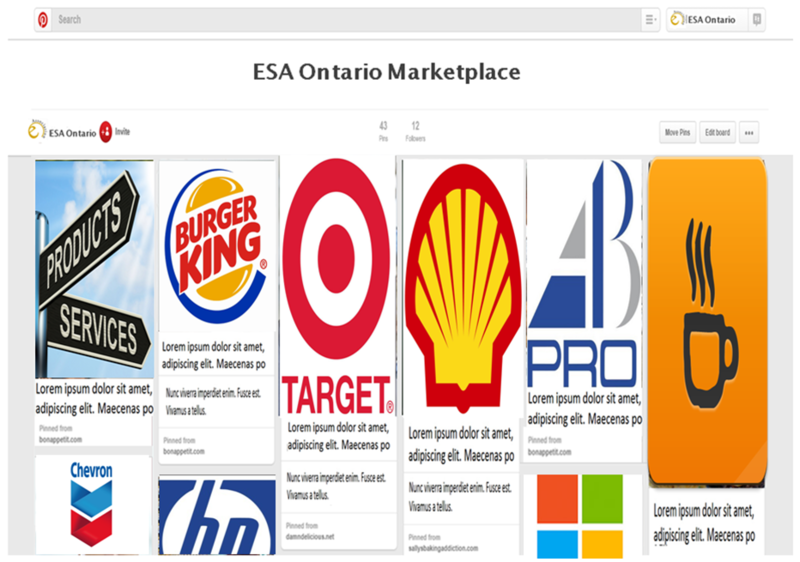 The above image is a mock up of a Pinterest board that creates an online ‘Marketplace’ connecting business members with your association’s other members. It acts much the same way as a hard copy source guide or directory. Business members get a place on the board, a picture and a description. Members can then log on and click on a service provider they are interested in, which would direct them to the business member’s website. The allure for business members is a year-round, easily accessible area through which they gain exposure to other members. Additionally, they get traffic directed to their site and increased opportunities to convert leads into sales. 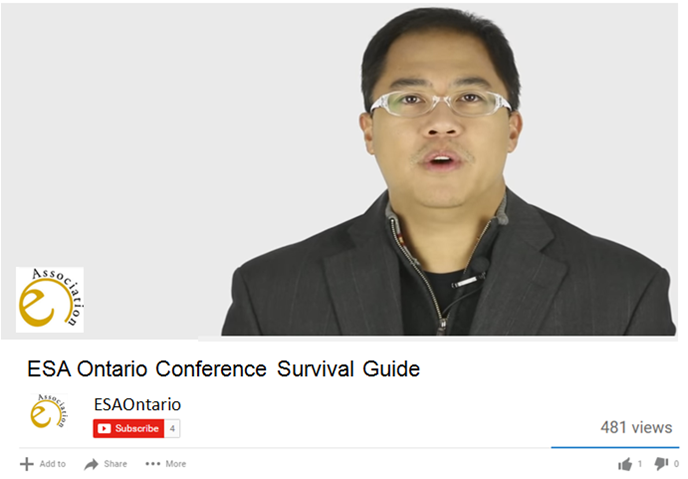 First thing’s first; social media can have a great return on investment for your association. It might not always be the traditional, financial, X-number-of-retweets-equal-Y-amount-of-revenue. It could have a money-focused tinge to it, but where organizations are going to see the biggest impact is in the formation of first impressions. Let’s get the terminology out of the way right now. For those who don’t know what a loss leader is, it’s a product or service offered by an organization that doesn’t directly increase profit, but gets people in the door and investing in other areas. For example, companies will sell printers at a loss in order to stimulate sales of their ink cartridges. Social media can act much the same way. Here’s the scenario; a non-member is on Twitter/Facebook/Instagram/etc., and sees a colleague retweet/share/like a post from your association. The content they see from your account interests them or is a helpful resource. This may be their first impression of your association in action or their first impression of your association ever. They may connect with your account, see the value of the organization and invest in a membership, service or event. In that way, your association may bring in a handful of members through the great first impression it presents on social media. After all, people go online these days to meet information and its sources. It’s great that social media brought new members into the fold, but let’s be honest, the revenue gained from these new members does not equal the money spent on it. However, word of mouth is a powerful marketing tool. If one person has a great experience with your association, they will tell colleagues, clients or staff. This may lead to further investments in membership and increased revenue. This great experience started with a great first impression; a warm, helpful greeting as a non-member enters into your association’s house. This warm greeting is called social media. Let’s face it, social media might be a loss leader for your association. You might spend hundreds or thousands of dollars on it every year and not see that money come back to your organization in the form of direct revenue. That’s okay. It’s a service that your association offers to help members. It’s a tool to shine a spotlight on your association and its benefits. It’s an avenue to engage members and non-members alike as well as start a conversation with sponsors and policy makers. All those elements combine to bring people into the door, to drive traffic to your website and its registration page and give your community a chance to voice their positive feedback in a public forum. Loss leader isn’t a dirty word. Yes, it implies your organization might lose money on this particular activity, but it also implies that it’s a leader. Social media can help lead your association on the right path, it can help guide members and non-members to the most helpful resources you have and it can give a boost to other areas of your organization’s revenue strategy.